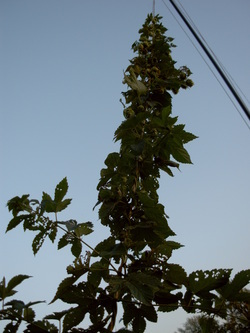 I figured I would post a some pictures of my hops trellis I made and rigged along with some other pictures of the plant. If you have questions email me or post them on the forum. A close up of the top rig. Yes I over did myself.